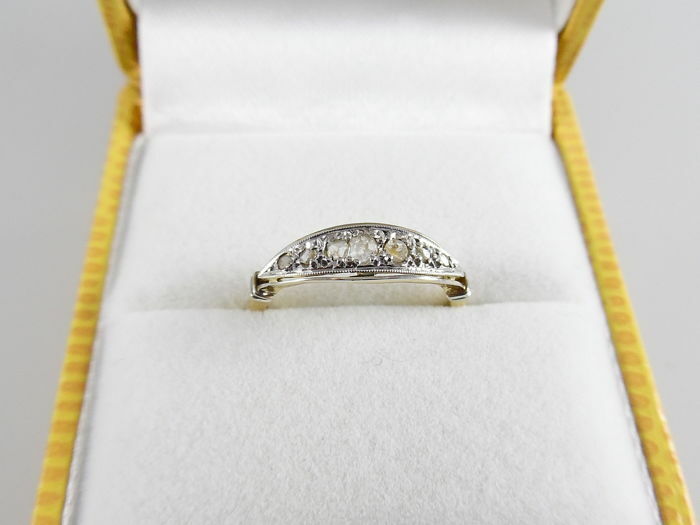 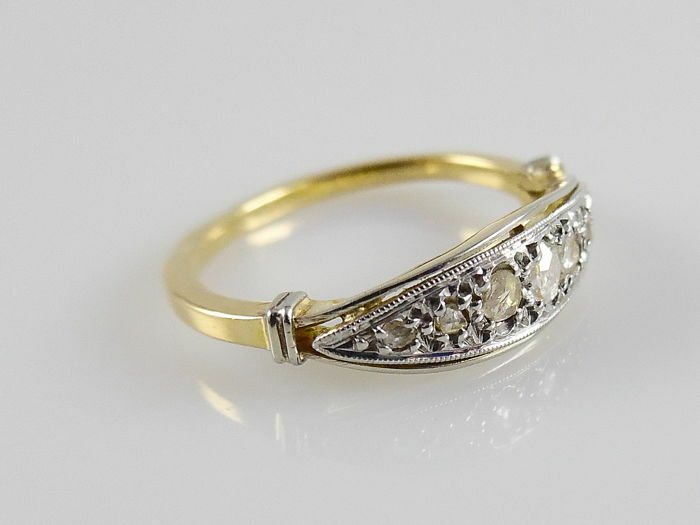 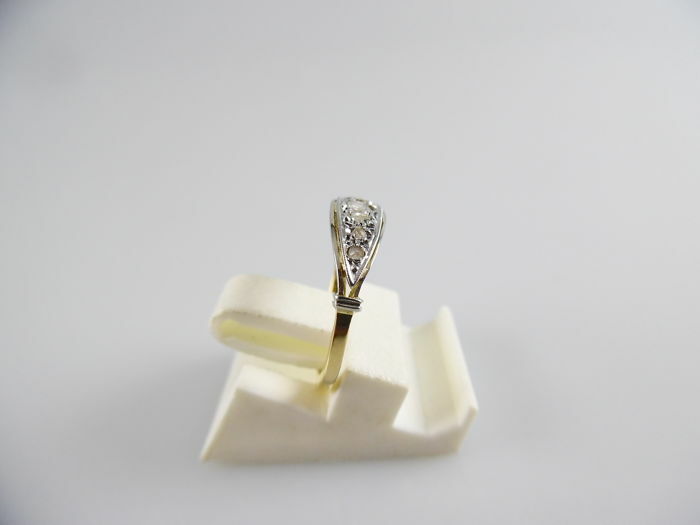 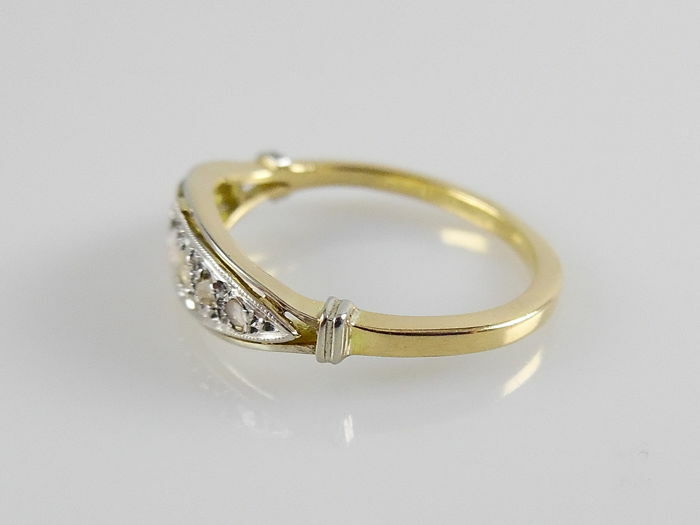 This yellow gold ring has a partly white gold crown of 15.4 x 4.8 mm. 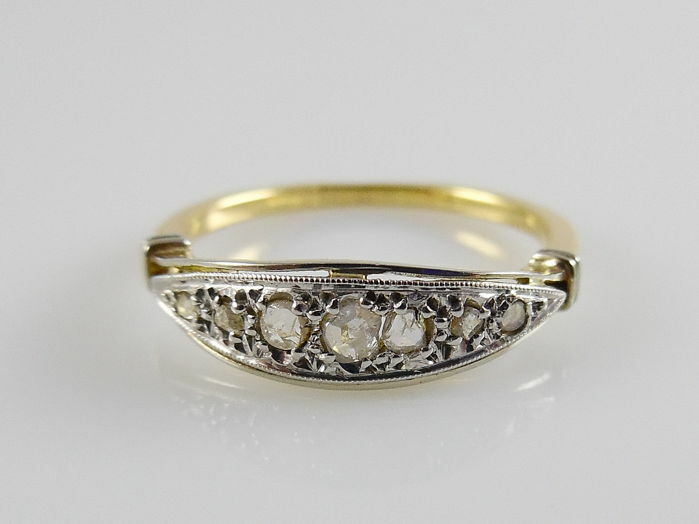 The ring has a faded stamp and was touchstone tested for 18 karat gold. 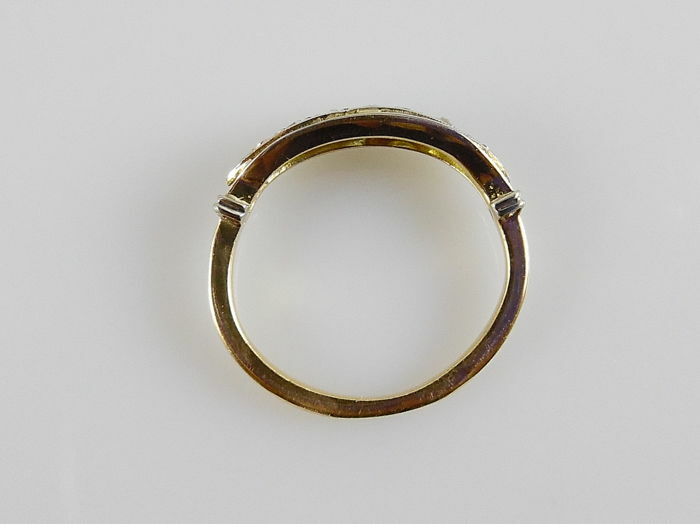 This ring has a small ring size. 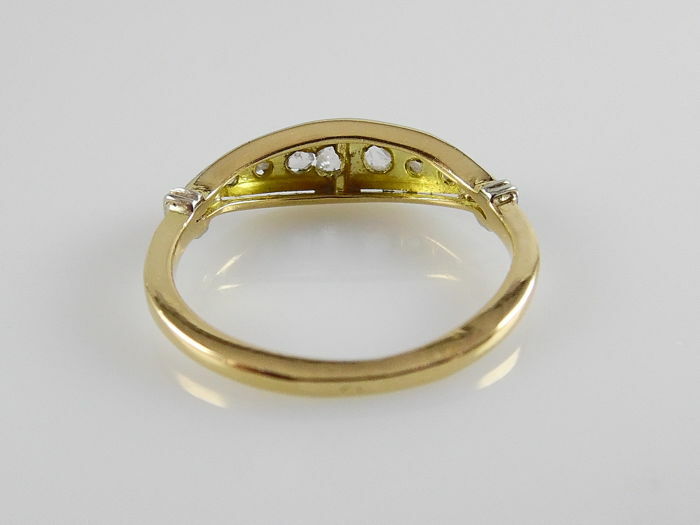 - 7 rose cut diamonds of 2.3 / 2 x 1.8 and 4 x 1.3 mm.